Eye Creams: Are they Worth all the Hype? Wrinkles, crows’ feet, and other fine lines are almost unavoidable in the skin around the eyes. These lines often appear much sooner than other facial wrinkles, sometimes becoming noticeable before some women even reach 30 years of age. On top of the wrinkles, the area under the eyes often is prone to appearing dark and droopy, even if an individual has experienced a full night of sleep. The reason behind both eye-area wrinkles and dark circles is simple: the skin around the eyes is much thinner than the skin on other regions of the face. Because of this, eye skin is extremely prone to expressing the results of aging. Additionally, this area is constantly exposed to environmental elements (like the sun and wind) that further increase the likelihood of wrinkle formation. Finally, dark circles appear under eyes because the thin skin increases the possibility of noticeable dark circles appearing since the pigmentation of thin skin is not strong enough to counteract the color of pooled blood. How Do Eye Creams Work? 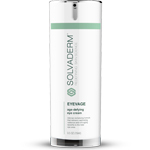 Since the underlying cause of eye wrinkles is the thin, overexposed nature of eye skin, any eye cream will need to strengthen this skin while also working to smooth, hydrate, and nourish it. 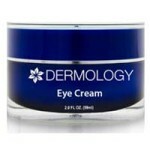 Eye creams can deliver their promised benefits through a regular application on affected eye-area skin. Since all of the ingredients in eye creams should be capable of providing their benefits simply by being absorbed into the skin, a topical antidote is all that is needed to fight eye wrinkles. These creams typically have a multi-fold purpose; while some ingredients are included in the formulas because of their abilities to induce collagen production and increase the elasticity of skin cells, other ingredients are mainly included because of their strong moisturizing properties. Still, other ingredients function primarily as anti-inflammatories, reducing under eye puffiness and minimizing the appearance of dark circles. Which Eye Creams are the Best? 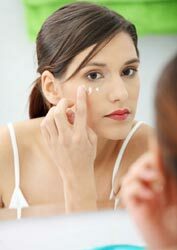 Ideally, an eye cream should include ingredients that can address all of the issues surrounding eye skin. Nobody wishes to have to apply three different treatments for different problems; instead, investing in one quality eye cream that can fight wrinkles, puffiness, and dark circles are well worthwhile. 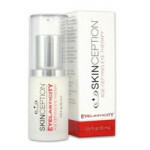 Clinical studies have indicated that certain ingredients like hyaluronic acid can drastically improve moisture levels while compounds like Acetyl Hexapeptide-8 (Argireline), Palmitoyl Oligopeptide and Palmitoyl Tetrapeptide-7 (Matrixyl 3000), and Syn-Ake have been shown to greatly reduce the appearance of wrinkles. For addressing the issue of puffiness or under eye circles, arnica, chamomile, cucumber extracts, and vitamin K have all shown great promise in combating these issues. Of course, particular concentrations of each of these active ingredients are also important parts of any eye cream formula, and all creams should be listed as hypoallergenic and non-comedogenic as well. Overall, eye creams can definitely wipe away years of aging and environmental stressors; it simply takes investing in and regularly applying the right cream to do the trick.